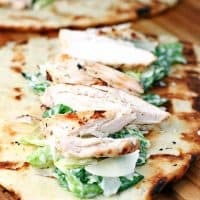 GRILLED CHICKEN CAESAR FLATBREADS — Savory grilled chicken and Caesar salad are served up in warm flatbread in this light and easy dinner. It’s been hot outside. Which means that lighter fare, like these Grilled Chicken Caesar Flatbreads, have been making a regular appearance on my dinner menu. This simple, grilled meal is perfect for those days when it’s just too hot to turn on the oven. And since I’m rarely in the mood for a big meal on days like that, this is one of my favorite summer time dinners. 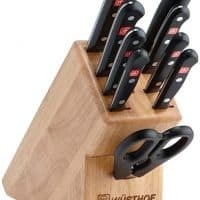 My kids love it too–which was a bit of a surprise. They do like chicken, and Caesar salad, and flatbread, but I wasn’t sure they’d like it all in one dish. But they couldn’t stop raving about how good these flatbreads were. Of course, if you do have picky eaters, you could always serve up the components of this dish separately for them. There’s something about this meal that everyone is going to love! 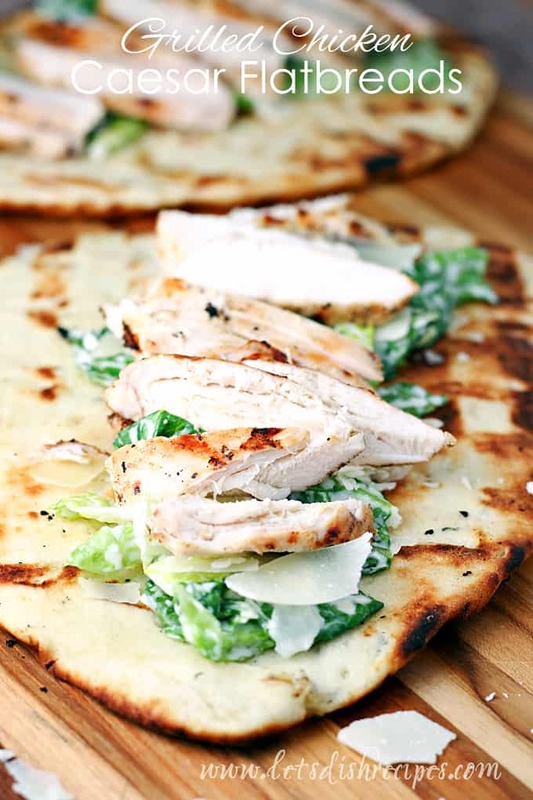 Even better, they chicken Caesar flatbreads are super easy to make, and use just a handful of basic ingredients, which makes this meal a big win in my book! And even though this is a simple recipe, this dish is loaded with flavor. The chicken is marinaded in Caesar dressing for extra tenderness and flavor. Then the flatbreads are grilled, along with the chicken, which adds even more great flavor! 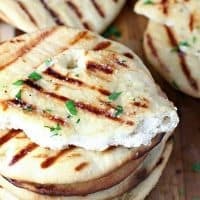 I used Stonefire brand flatbreads in this recipe. 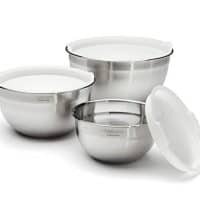 They are always soft and tender and I’ve never been disappointed in any of their products. And no, I didn’t get paid to say that! I really do love them. 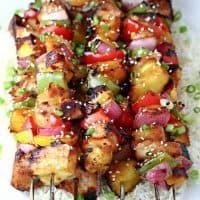 You could also use pita bread, naan bread, or even tortillas in this recipe and it would still be the perfect meal for a hot summer evening. We’ll definitely be enjoying these flatbreads all summer long! 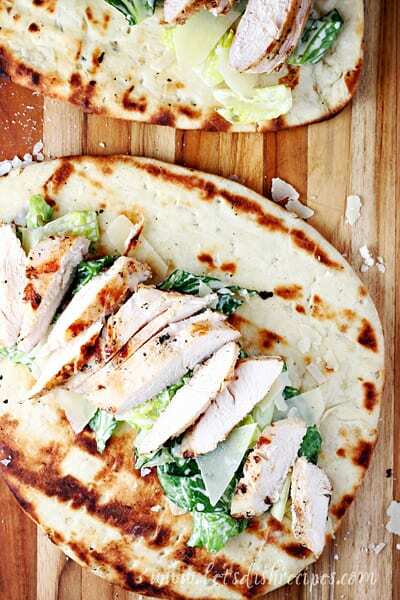 Be sure to save this Grilled Chicken Caesar Flatbreads recipe to your favorite Pinterest board for later. Savory grilled chicken and Caesar salad are served up in warm flatbread in this light and easy dinner. Place chicken in a large, zip top bag. 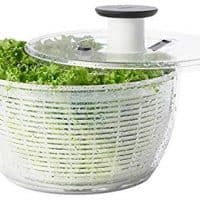 In a medium bowl, whisk together 1 cup of salad dressing and lemon juice. Add to bag. Seal and marinate chicken at least 2 hours, up to overnight. 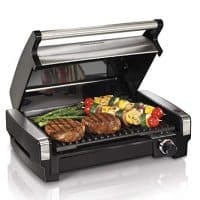 Heat grill to medium-high heat. Grill chicken until cooked through, about 5 minutes per side. For the last couple minutes of cooking, add the flatbreads to the grill and cook until marked and slightly crispy. Let chicken rest for 5 minutes. Meanwhile, combine the romaine lettuce, additional Caesar dressing and Parmesan cheese and toss to mix well. Slice the chicken on an angle. Add some of the salad mixture to each flatbread. 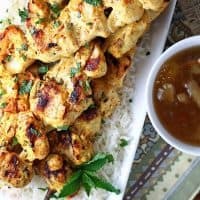 Top with sliced chicken. Serve immediately. Total time does not include marinating. 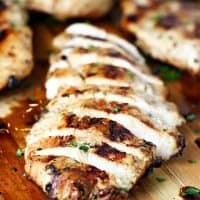 Chicken breasts marinated in balsamic vinaigrette, then baked or grilled to perfection. 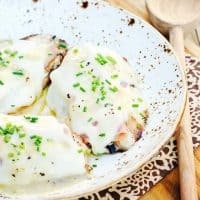 This easy chicken recipe is sure to become a family favorite! 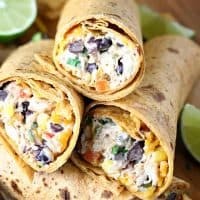 Chicken and cream cheese are combined with red peppers, black beans, corn, shredded cheddar and southwest spices, then wrapped in flour tortillas for a hearty lunch or light dinner.